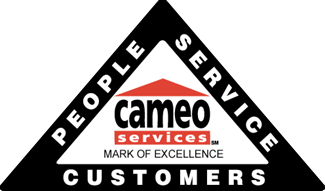 Fire, Smoke & Soot Damage | Cameo Services, Inc.
Fire damage to your home, business, or personal belongings can be devastating. Our highly trained technicians have the skills to battle smoke odor, intrusive soot, and deodorize the structure so you can rest assured that your home or business will be returned to its pre-loss condition as quickly as possible. Using expert knowledge and advanced techniques, we can remove stubborn smoke, soot, and odors from contents, structure, and any affected item or area. We are here for you! Quick response is crucial in fire damage restoration situations to secure the property, minimize damage and eradicate smoke odor. Our emergency board-up and roof tarping services prevent further damage while giving you peace of mind that the structure is protected. Whether it’s in the middle of the night or on a major holiday, you can count on us to respond and assist you 24 hours a day, 7 days a week. Cameo Services is highly reputable and proudly endorsed by all major insurance carriers for fire damage and repair services. We understand property damage and the insurance claim process. By working directly with you and your insurance carrier throughout all phases of your restoration project, we will help get your property and life back to normal as quickly as possible. Having the ability to trust one restoration company is very important to us. Our team has become skilled in multiple trades, so we are able to handle your fire damage project from start to finish. From the initial board up, cleaning, and deodorization to final repairs and reconstruction, you can count on us handle it all.